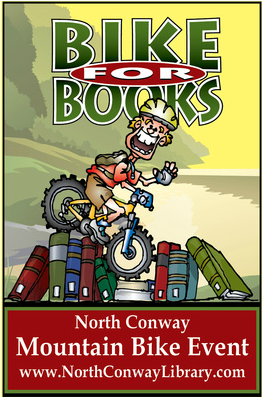 Once again Bike for Books will be held with a focus on trails located on the East side of North Conway. 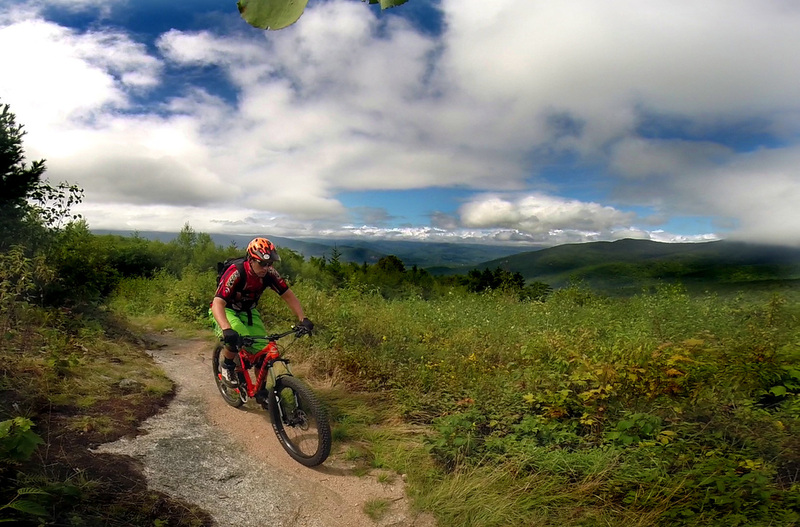 ​ This allows EASTSIDE BIKE GUIDES to provide more of a trail riding experience with less paved sections and showcase the trail building and ride quality found here in North Conway. EASTSIDE BIKE GUIDES has been working hard to get the trails cleaned up and ready to provide a great riding experience. ​This year's course will have some changes in the route as well as the trails themselves as we have been making improvements on the network. 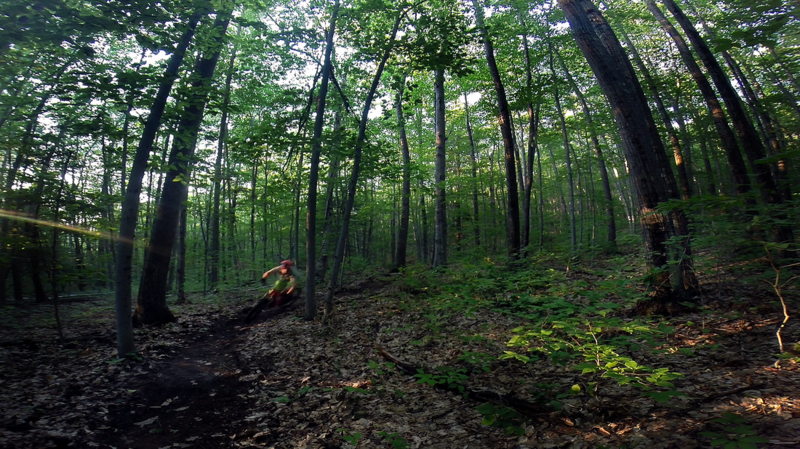 Most of the challenge presents itself in the amount of vertical feet you will gain and lose over the entire course but also in some of the technical aspects of the trails themselves. The maps below depict the intermediate and advance B4B routes. These maps are strictly for reference and not intended to replace the actual route markers that will guide you along the courses we have laid out. The course may be changed up to a day before the event. 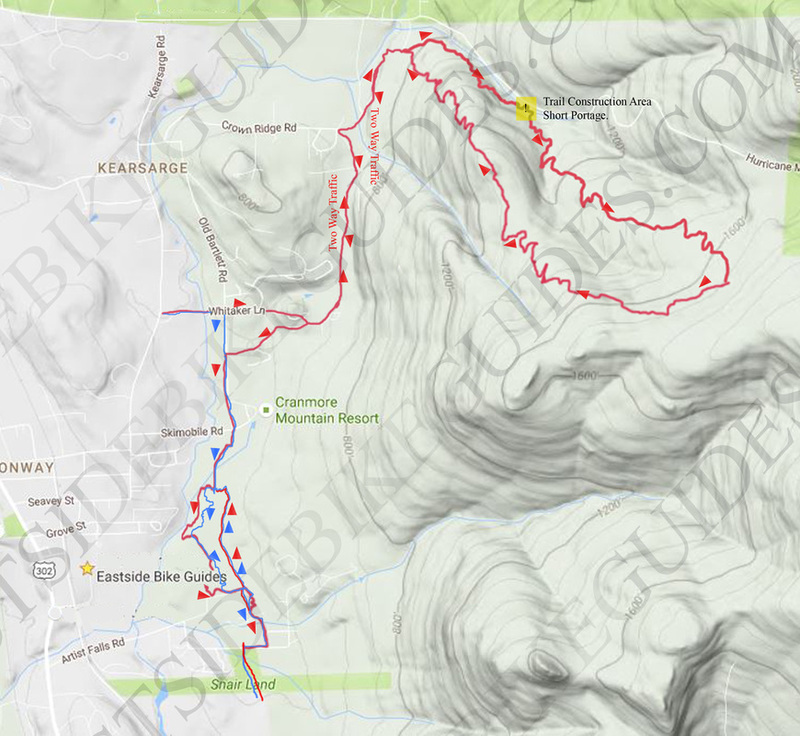 ​Please keep in mind that some of these trails are on private land and only accessible to the public during this event due to the generosity of the land owners. The Northern portion of the B4B is comprised of Whitaker Woods segments but crosses Old Bartlett Rd. to access both the Intermediate and Advance route options. ​ For riders looking to push their limits and looking for more of a physical or technical challenge, there is a lollipop option that takes you up Red Tail and down Kettle Ridge. The challenge is both in the technical nature of the climb but also in the vertical feet gained. Of course what goes up, must come down and if you make the climb, the descent is well worth it. Round trip from the water tower and back is almost 5 miles. NOTE: There is a section of Red Tail near the bottom that has been recently damaged. This section may require portaging your bike about 400'. If you are on the intermediate route, you will avoid major elevation gains and enjoy a much more low key series of trails focused more on flow and scenery than physical or technical challenges. Outer Limits/Twilight Climb and partial descent. This event is not held on closed courses. There will be other non-participant riders on these trails and all the trails here are bi-directional. In fact some of the course actually has sections that will see limited 2 way traffic. This is a common thing in mountain biking and if everyone follows the IMBA rules of the trail, conflicts should not be an issue. 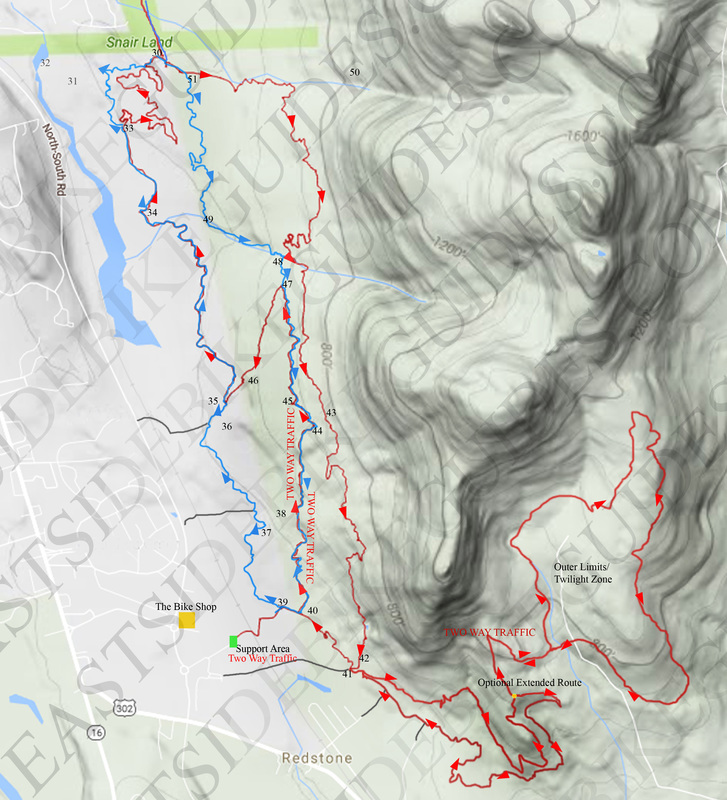 The Southern Portion of the ride takes you into the heart of the Eastside Trail Network. Much of the trails are on Conway Conservation Lands but also on private land as well as parts that climb into portions of The Nature Conservancy Green Hills Preserve. 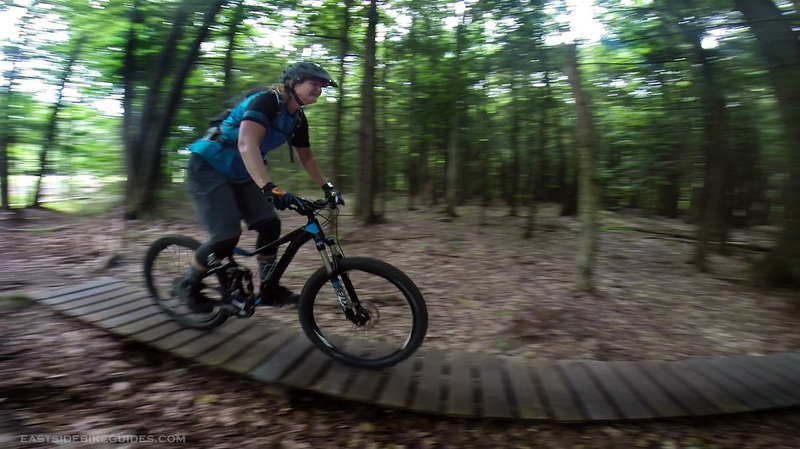 Many of the trails do a good job of utilizing the terrain to allow riders to "surf the earth" in addition to offering a few technical challenges here and there. There will be a Support Area staged at the southern end of the course in case you need a snack or something to drink. The Bike Shop is also located near by if you need any sort of mechanical assistance. For advanced riders there is another lollipop option at the far southern end of the course which goes into the Outer Limits/Twilight Zone trails. This adds a few miles of riding as well as some good elevation and technical climbs. 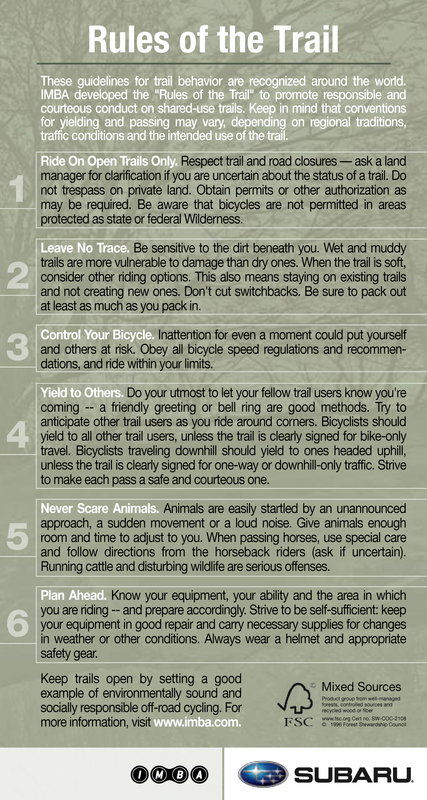 Some of the advanced and intermediate route has Technical Trail Features (TTFs). These can vary from rock formations to bridges (as found on Pillar to Pond). WHEN IN DOUBT, WALK IT OUT. There is no shame in dismounting and walking a section. Getting off the bike to bypass a section that you aren't comfortable with is part of mountain biking. The numbers on the map correspond to marker posts at intersections. If you need assistance they make a good reference.